The grand dame of the famous Aldi clan has furthered the family's bitter feud in her will, taking a swipe at her descendants' lavish lifestyles. 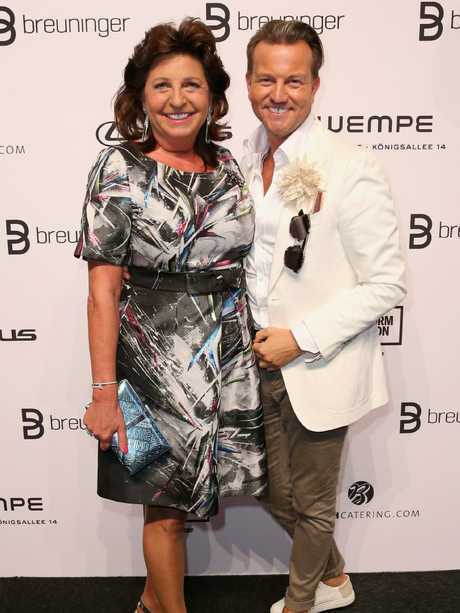 Cäcilie Albrecht, the widow of one of the co-founders of the popular German supermarket chain, accused her late son's widow, Babette, and the couple's five children of extravagant spending that went against the company's frugal philosophy. The will has plunged the family into a nasty public row, also ensuring the family members are cut out of future business decisions. Mrs Albrecht, who was married to Theo Albrecht and died in November last year aged 92, accused the five grandchildren and their mother of using more than $157 million to finance their lavish lifestyles. They are heirs to Theo's reported $15 billion fortune. "With this document I undertake to ensure the preservation of the philosophy of our family, which is to serve the consortium Aldi Nord and to foster this, at the same time as setting aside self-interests and practising a modest and abstemious way of life," she said in the will made public by German newspaper Bild am Sonntag. She said her son Berthold had also voiced concerns about his wife and children's behaviour. "Berthold himself said when he was alive that he had considerable doubts as to the suitability of his children to respect the life's work of my husband who, with my support, built the consortium Aldi Nord, and to serve it with respect and with responsibility towards its thousands of employees," she wrote in the will heard in an Essen court in February. Berthold's death first set off the dispute when his attempt to exclude his wife and children from running the company failed. They were then excluded from attending Cäcilie's funeral. Aldi - short for Albrecht Diskont - split into two separate companies in 1960, now known as Aldi Nord and Süd. Theo ran the stores in northern Germany under the name Aldi Nord and his brother Karl ran Aldi Süd in the country's south. 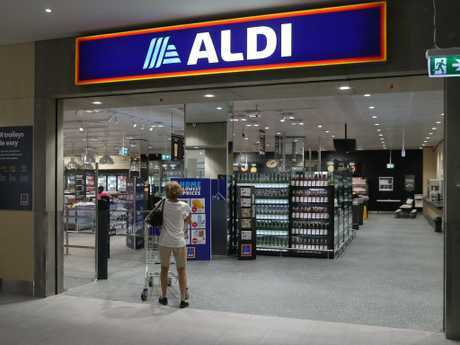 When you shop at an Aldi in Australia, UK or China you're actually shopping at Aldi Süd. Snap up a special buy in France, Denmark or Poland and you're a customer of Aldi Nord. The only place where the two Aldis coexist is the USA. Aldi's enormous success in persuading penny pinchers to part with their cash has spawned reclusive billionaires and a notoriously secret family, subject to far less scrutiny than its listed homegrown rivals Coles and Woolworths. In the latest row, the family has denied any wrongdoing. Family lawyer Andreas Urban said "piety and decency dictate that this will should not be publicly evaluated". "The heirs of Berthold Albrecht have always been concerned since the death of their father, more than six years ago, for the welfare of Aldi Nord," he said. "This can be deduced in particular from the considerable financial means which have flowed into the company from the Jakobus foundation as well as from the support for important corporate projects. "The heirs of Berthold Albrecht therefore need not reproach themselves in any way." The feud has thrust an obsessively discreet family into the international spotlight. In the past they have been so secretive that the only widely published photo of Theo and Cäcilie's eldest son, billionaire Theo Jr, was a grainy, decades-old paparazzi snap. Theo Albrecht on the window of his mansion waving to photographers in Essen, Germany. 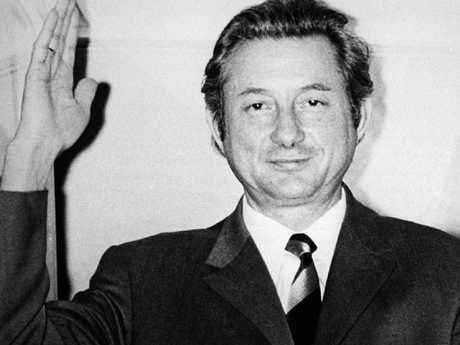 Theo was one of the two founders of discount supermarket chain Aldi. These days Babette flaunts her life of luxury, attending society events such as Vienna's opulent Operball and Munich's Oktoberfest. She's appeared on TV show Let's Dance and gave an interview to magazine Gala, which boasted being the first with an Aldi heir. She told the magazine about her dinner party preferences including chicken fricassee and gammon steak with cabbage and salad, the ingredients for which she said all came from Aldi. Theo Jr has publicly attacked Babette for her purchases of art and vintage cars, and withdrawals from one of the company's controlling trusts. In a 2014 letter to Babette, Theo Jr wrote that she was "a burden" on the company because she refused to subordinate her private lifestyle to the interest of the group. "The Albrecht name requires a modest lifestyle," he said in Stern magazine.